Wheelie Fail In Slow Motion - Know Your Limits! 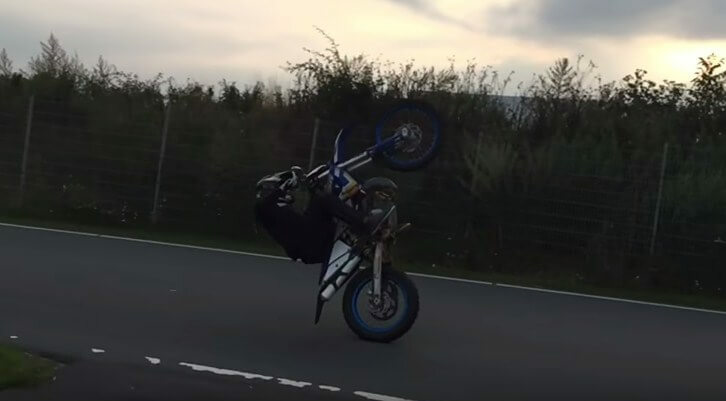 Wheelie Fail In Slow Motion – Know Your Limits! Dirt bikes wheelies can be fun, but you should know your limits before you do a dangerous stunt. This guy performed what it seemed a flawless wheelie, right until he lost control and embarrassed himself. Unfortunate for him, one of his friends caught the whole thing on camera! The coolest Chevrolet Corvette ZR1 tuned with wide body kit! The 2016 Chevrolet Camaro – Detailed Review Of Engine, Style, Features and Specifications.